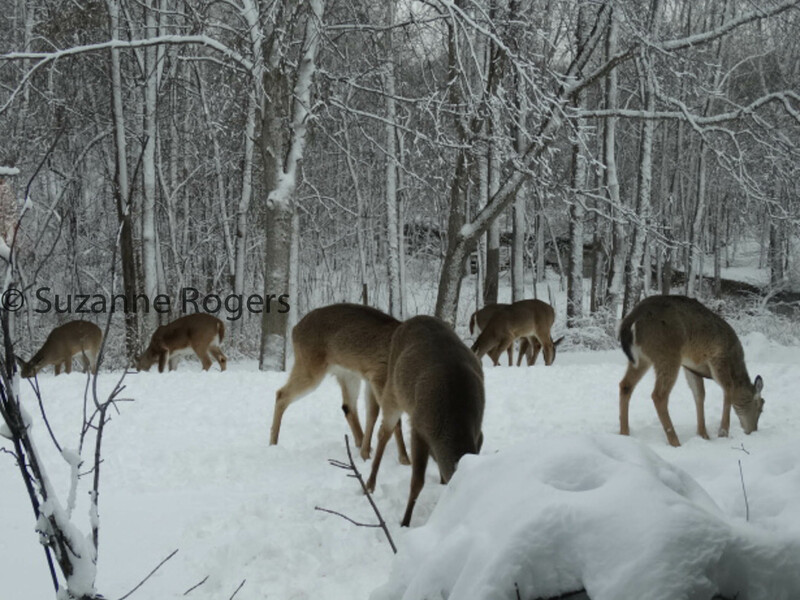 LATE IN THE AFTERNOON, SOMETIMES WHEN IT’S ALMOST DUSK, THE DEER START TO MAGICALLY APPEAR FROM THE WOODS. IN THE TOP IMAGE, THEY’VE HEARD A CAR PULL INTO THE DRIVEWAY…MOST OF THE TIME THEY MAKE SURE THAT THERE’S NO THREAT AND THEY GO ON ABOUT THEIR BUSINESS. THIS IMAGE IS FROM MY ARCHIVES…IT WAS TAKEN SEVERAL YEARS AGO. 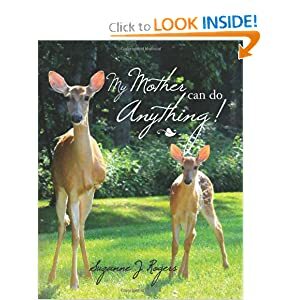 MAMA, THE THREE LEGGED DEER, LEFT THESE LITTLE ONES FOR SIX HOURS ONE AFTERNOON…IT’S PART OF THE PROCESS AS THE BABIES GROW BIGGER AND STRONGER AND FASTER… THEY ALWAYS COME BACK FOR THE BABIES. I STAYED GLUED TO THE WINDOW FOR ALMOST THAT ENTIRE TIME AND SHOT, I DON’T KNOW HOW MANY IMAGES. IT WAS A WONDERFUL DAY…VERY SPECIAL. WELL ALRIGHT….THESE ARE NOT IMAGES OF AN ELF…BUT THE YOUNG FAWN IS SO TINY THAT IT SEEMED ELF-LIKE TO ME. 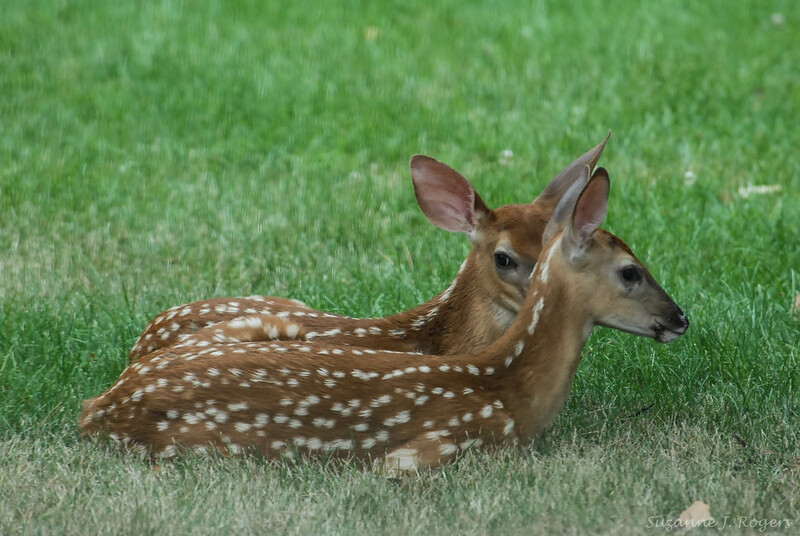 I THINK THIS IS THE YOUNGEST FAWN I’VE EVER SEEN VISITING THE BACKYARD…SUCH A TREAT!